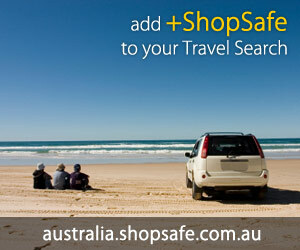 There are 226 products in the Mwave > Video Cards ShopSafe Category. Xfx Accessories Low Profile Bracket Kit Including 3 Brackets&1 Vga P Description: XFX accessories low profile bracket kit including 3 brackets&1 vga port cable etc. Buy this Xfx Accessories Low Profile Bracket Kit Including 3 Brackets&1 Vga P today from USD$4.99 on the Mwave website. Pny Accessories Low Profile Bracket For Nvidia Quadro Nvs 285 Pci Expr Description: PNY Technologies is a leading manufacturer and supplier of computer graphics boards, memory upgrade modules, Flash Memory and Flash peripherals. Giving customers the best product and service is PNY`s constant goal. etc. Buy this Pny Accessories Low Profile Bracket For Nvidia Quadro Nvs 285 Pci Expr today from USD$7.15 on the Mwave website. Pny Geforce 8400gs Pcie 256mb Low Profile-board Only; Profile - P Description: PNY GeForce 8400GS PCIE 256MB LOW PROFILE-BOARD ONLY; Low Profile - PCI-E 2.0 (DVI + VGA + HDTV - S-Video) etc. Buy this Pny Geforce 8400gs Pcie 256mb Low Profile-board Only; Profile - P today from USD$27.99 on the Mwave website. Pny Accessories 8 Lfh-59 To 2 Vga Cable For Quadro4 200 280 400 Nvs & Description: PNY accessories 8 LFH-59 to 2 vga cable for Quadro4 200 280 400 NVS&550 580 etc. Buy this Pny Accessories 8 Lfh-59 To 2 Vga Cable For Quadro4 200 280 400 Nvs & today from USD$29.44 on the Mwave website. Evga 128-a8-n303-l2 Geforce Fx 5200 128mb Gddr Agp 4x/8x Video Card Description: EVGA 128-A8-N303-L2 GeForce FX 5200 128MB GDDR AGP 4x - 8x video card etc. Buy this Evga 128-a8-n303-l2 Geforce Fx 5200 128mb Gddr Agp 4x/8x Video Card today from USD$29.99 on the Mwave website. Powercolor Ax3450 256md2-s Radeon Hd 3450 Scs 256mb Ddr2 Pci-e Video C Description: POWERCOLOR AX3450 256MD2-S radeon hd 3450 SCS 256mb ddr2 pci-e video card etc. Buy this Powercolor Ax3450 256md2-s Radeon Hd 3450 Scs 256mb Ddr2 Pci-e Video C today from USD$29.99 on the Mwave website. Asus En8400gs Silent/p/512m Geforce 8400 Gs 512mb 64-bit Gddr2 Pci-e 2 Description: Asus EN8400GS silent - P - 512M GeForce 8400 GS 512MB 64-bit GDDR2 pci-e 2.0 x 16 hdcp ready video card etc. Buy this Asus En8400gs Silent/p/512m Geforce 8400 Gs 512mb 64-bit Gddr2 Pci-e 2 today from USD$32.99 on the Mwave website. Msi N8400gs-d512h Geforce 8400 Gs 512mb 64-bit Gddr2 Pci-e 2.0 X 16 Vi Description: MSI N8400GS-D512H GeForce 8400 GS 512MB 64-bit GDDR2 pci-e 2.0 x 16 video card Fanless solution Low Profile bracket included etc. Buy this Msi N8400gs-d512h Geforce 8400 Gs 512mb 64-bit Gddr2 Pci-e 2.0 X 16 Vi today from USD$33.99 on the Mwave website. Zotac Zt-20301-10l Geforce 210 512mb 64-bit Gddr2 Pci-e 2.0 X 16 Hdcp Description: ZOTAC ZT-20301-10L GeForce 210 512MB 64-bit GDDR2 pci-e 2.0 x 16 hdcp ready low profile video card etc. Buy this Zotac Zt-20301-10l Geforce 210 512mb 64-bit Gddr2 Pci-e 2.0 X 16 Hdcp today from USD$34.99 on the Mwave website. Sapphire 100264hdmi Radeon Hd 4350 512mb Gddr2 Pci-e 2.0 X16 Hdcp Low Description: SAPPHIRE 100264HDMI Radeon HD 4350 512MB GDDR2 pci-e 2.0 x16 hdcp low profile video card etc. Buy this Sapphire 100264hdmi Radeon Hd 4350 512mb Gddr2 Pci-e 2.0 X16 Hdcp Low today from USD$34.99 on the Mwave website. Msi Nx8400gs-td512eh Geforce 8400gs 512mb Gddr2 Pci-e 2.0 X16 Hdcp Rea Description: MSI NX8400GS-TD512EH GeForce 8400GS 512MB GDDR2 pci-e 2.0 x16 hdcp ready low profile ready video card etc. Buy this Msi Nx8400gs-td512eh Geforce 8400gs 512mb Gddr2 Pci-e 2.0 X16 Hdcp Rea today from USD$34.99 on the Mwave website. Msi R4350-md512h Radeon Hd 4350 512mb Gddr2 Pci-e 2.0 X16 Hdcp Ready C Description: MSI R4350-MD512H Radeon HD 4350 512MB GDDR2 pci-e 2.0 x16 hdcp ready crossfire supported video card etc. Buy this Msi R4350-md512h Radeon Hd 4350 512mb Gddr2 Pci-e 2.0 X16 Hdcp Ready C today from USD$36.99 on the Mwave website.